Update: Maybe hold off on downloading update 4.70 if you can, as users are reporting frozen consoles. Original story: Sony released PS4 update 4.70 to the public today. According to the text that appears when the update is installed, this patch "improves the quality of the system performance." A tweet from the PlayStation account also mentions individual match results in Tournaments. Sidenote: Even though the tweet contains a link supposedly leading to more info on the update, as of writing it actually leads to information on update 4.55. However, a post on the EU PlayStation forums confirms the aforementioned features. I think it's a subtle but noticeable difference. 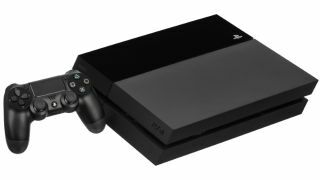 Elsewhere in PlayStation-land, the PS3 has ended production, and you can catch the watch the Sony E3 2017 press conference at a local theater (with potential prizes and goodies! ).